The Crackers Award* this week goes to the Institute of Public Affairs, the cash for comment think tank of choice for the Liberal Party, Big Tobacco, Big Coal, Big Carbon and many other fellow travellers. Environment editor Sandi Keane reports. 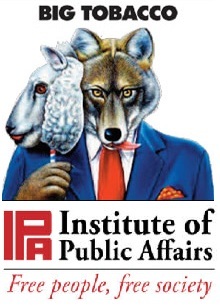 THERE'S NOTHING MUCH that’s public about the Institute of Public Affairs (IPA). …and certainly not its financial affairs. Apart from a few lapses of discipline over the years or an unavoidable moment of truth-telling in response to some teeth pulling by the Productivity Commission, the IPA is shy about revealing its funding sources. You’d think these days, the spinmeisters at the IPA and other think tanks would have woken up to the fact that we, the long-suffering public, have woken up to them. But as long as the money keeps rolling in, why should they care? A big fan of Media Watch, I was, therefore, fascinated when Jonathan Holmes – clearly a fellow-spin-fatigue sufferer – decided to tell the IPA that the game was up. The public might be fooled some of the time but not all of the time. We were about to be avenged. Just days after the then Rudd government’s announcement of its “plain packaging” plans on 28 April 2010, Media Watch went to air on 10 May with a damning critique of the IPA entitled “Smoking out the Spin”. The program focused on the reaction by the IPA’s Tim Wilson the day following the Government’s media release. 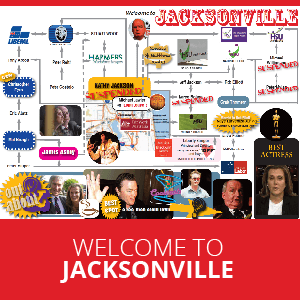 Wilson stormed the airwaves on behalf of Big Tobacco…. It was virtually wall to wall. He clocked up at THIRTEEN radio interviews, an opinion piece in The Australian and still managed to pop up, fresh as a daisy, on prime time 7.30 Report. Be afraid, he warned. Be very afraid. This outrageous plan would cost the public $3 billion in compensation! If our government took away a company’s logo, it could be seen as STEALING! Jonathan Holmes clearly took exception to the ‘cash for comment’ record of the IPA, particularly when the ABC is used as the vehicle. If the IPA was acting on behalf of the tobacco industry in return for large injections of cash, this should be disclosed. Media Watch cited a 2002 opinion piece in The Australian from the IPA’s Don D’Cruz that included a rare disclosure that the “IPA receives support from tobacco companies”. The program asked the IPA whether it still received funding from tobacco companies. It declined to comment. It was up to their sponsors to divulge who was on the payroll. Holmes asked all 3 tobacco companies, British American Tobacco, Imperial Tobacco and Phillip Morris. Which leads me to the question: just what is the word “public” supposed to signify in this organisation’s name — a weasel word to obscure its shadowy dealings? Watching the program, I was impressed by Tim Wilson’s manic output that day. It was a marathon effort. No wonder young Tim Wilson is hailed as the IPA’s wunderkind. Alan Moran surely couldn’t have gone 13 rounds on air plus the 7.30 Report (and we’re talking Kerry O’Brien here) as well as pen an opinion piece for The Australian. I know I couldn’t have. Grudgingly, I had to hand it to Tim — whatever Big Tobacco was paying him, it wasn’t enough. It makes financial sense to give generously to high profilers like Tim Wilson and the IPA. Why risk being mauled by the mob when you can hire a pressure group like the Institute of Public Affairs? Its media savvy guarantees a positive sound bite, millions of dollars of free publicity through opinion pieces in our major newspapers and ‘credible commentator’ status on all major current affairs TV and radio programs. How many times does the IPA pop up on The Drum, Q&A, 7.30, Lateline, ABC Radio National, regional ABC radio? I don’t watch commercial TV, but here’s wall to wall media exposure across the ABC for starters. What struck me was how a shadowy outfit like the IPA with some of its unsavory connections gets that amount of free publicity on the ABC? Bob Brown struggled to get a mention for the Green’s views on plain packaging the day Tim Wilson dominated the airwaves. It appears the politicization of the ABC under the Howard government (documented by Margaret Simons, Robert Manne, and Clive Hamilton, amongst others) has survived the Howard regime. If you recall, the Minister responsible for the ABC ordered ‘surveillance’ to prove bias. Right-wing appointments were made to the Board. They, in turn, appointed senior executives to carry out the transformation. It was called the ‘culture wars’. The culture exists today in the ABC’s mindless pursuit of ‘balance’. The BBC is far more balanced in that it represents ‘the majority view’. It also has a stricter policy on disclosing links to sponsors. Thus, I was compelled recently to write to Jon Faine, the popular presenter of the ABC’s 774 Melbourne Morning program. Jon Faine is a respected journalist and no fool. Yet, every Friday on his ABC 774 morning program in Melbourne, the IPA’s Tim Wilson appears as Faine’s guest on the Friday Wrap segment. Prior to Tim, it was IPA’s Executive Director, John Roskam. Tune into the Friday Wrap to see how Tim Wilson uses the program to push the IPA’s well-rehearsed climate science denial routine. The IPA is the heart of climate science denial in Australia and some say the denial movement started with the IPA, following its funding by the mining lobby. But not once does Jon Faine ask the question that Media Watch berated journalists for failing to do in Smoking out the Spin: does the IPA get funding from the big polluters? I know it does and the fact is well documented. But not all ABC listeners know this. So, two different opinions from the ABC. Jonathan Holmes believes that when Tim Wilson is on the ABC airwaves spruiking for Big Tobacco, the funding links should be disclosed. But when the same Tim Wilson spruiks for Big Carbon on Jon Faine’s program, it is OK.
IPA hat: climate change = crap. Student hat: climate change = real. The IPA does a sterling job spinning for Big Carbon and Big Tobacco. But given the challenge of winning over the spin-fatigued public, it decided it needed to multiply its efforts. More lobby groups were the answer. In 2005, the IPA set up the Australian Environment Foundation. Just as there is nothing ‘public’ about the ‘affairs’ of the Institute of Public Affairs, there is nothing ‘environmental about the Australian Environment Foundation. This is a deliberate attempt to deceive the public into confusing it with that highly respected organisation, the Australian Conservation Foundation. There are no treehuggers here in the AEF, just treeloggers. This ‘astroturfer’ with the greenwashed name promotes logging of old growth forests, genetic engineering and nuclear power and is, as you would expect of from the loins of the IPA, a climate skeptic front group. Timber Communities Australia is one of its funders. The IPA has been spinning the facts on climate change for several decades now. Its moral lowpoint was inviting (Crackers #3) Dr Fred Singer to Australia not once, but twice. This is the man who used his scientific credentials to argue against the link between lung cancer and cigarettes; stopped prompt action on CFCs, played down the danger of nuclear weapons, denied acid rain was caused by pollution and even took sides against the whales. If there was harm being done to man, beast or planet and your corporation was the cause, Singer was your “one stop shop”. "...the IPA links to the Liberal party go back decades. Its Executive Director, John Roskam (pictured), a Liberal party powerbroker and former Howard government staffer, has run for election on several occasions." The Coalition is no longer in government but the IPA links to the Liberal party go back decades. Its Executive Director, John Roskam, a Liberal party powerbroker and former Howard government staffer, has run for election on several occasions. The Chair of the Board is former Howard government Senator, Rod Kemp. Former Victorian Liberal party President and power broker Michael Kroger is also a Board member, as is former Rio Tinto and Liberal party PR advisor Tim Duncan. Through its association with the IPA, Fred Singer and the whole cabal of climate skeptics, the Liberal party lost supporters in its ranks who care passionately about the future of the planet. A sobering observation was made this month by Health Minister, Nicola Roxon: if someone came up with the idea of cigarettes today, their product would be banned. The tobacco industries’ product kills half of those who use it. In January this year, a US district court overturned the appeal by Phillip Morris on charges that it had violated the Racketeer Influenced and Corrupt Organizations Act for conspiring to hide the dangers of cigarettes. Who would want to associate themselves with corrupt racketeers and purveyors of a disease like cancer? Well, the Institute of Public Affairs and the Coalition do. Abbott might have kicked the habit of saying ‘no’ when he supported plain packaging, but accepting blood money from Big Tobacco is a reflection on the moral bankruptcy of this once proud party. I can still remember when the IPA was more transparent — when it used to list BHP as one of its sponsors. These days, you’d need a laser to shed light on the murky depths of the IPA’s money pool. Rio Tinto was a sponsor. 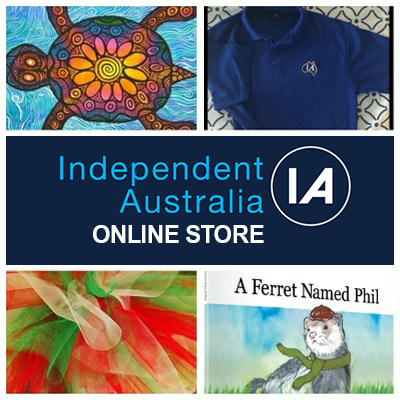 We know that because it announced it was withdrawing its sponsorship of the IPA following the aggressive character of IPA's attacks on Aboriginal self-determination. Thanks toresearch done byAustralia’s climate organisations and Sourcewatch, we can shine a light on some of the corporations using the services of the IPA. These include Philip Morris, British American Tobacco, BHP Billiton, Western Mining, Caltex, Esso Australia (a subsidiary of Exxon), Shell, Woodside Petroleum, Murray Irrigation Ltd. Telstra, Clough engineering, Visy, News Ltd. and fifteen major companies in the electricity industry. It’s a start. But it’s high time the media starting insisting on disclosure. That way, we’d know when we’re being spun a line. And we might start getting some real ‘balance’ and an informed debate. In Margo Kingston's 2004 book, 'Not Happy, John', the IPA's then executive director Mike Hahan was quoted as saying that the IPA's supporter list would be publicly available in the near future. * ‘The Planet vs East Bumcrack’ is a weekly column by IA's environment editor, Sandi Keane, in which she discusses the pseudo-science that typically characterises anti-environmentalist arguments. 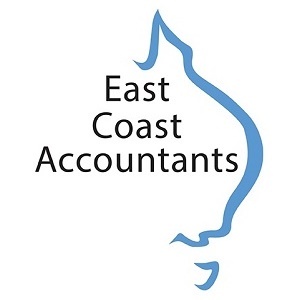 The term ‘East Bumcrack’ comes from an following episode of ABC’s Insiders, where journalist Annabel Crabb used the term to describe the science used by Andrew Bolt to argue against climate change as arising from “East Bumcrack University”.